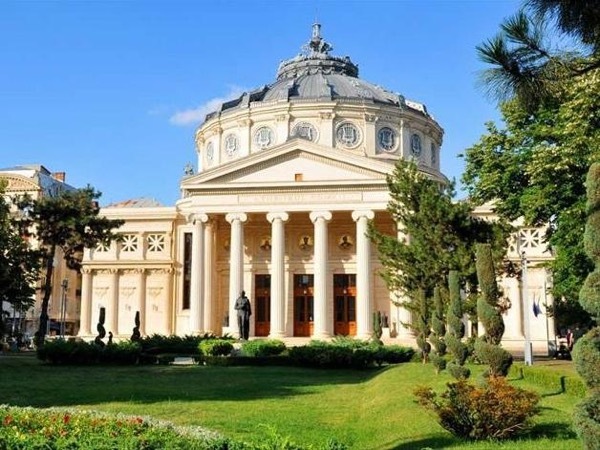 Traveler Reviews for Private Tour in Bucharest, Romania by Tour Guide Liviu O. About Liviu O. Message Liviu O. Marvelous guide...English excellent! Knowledge of city, people, history delivered in a thoughtful and balanced manner. He was not a stuffed shirt! Very relaxed and interested in our comfort and satisfaction. He picked a great place for lunch and made great menu suggestions. We would have missed all this on a bus tour or if we tried to do this on our own. My wife and I could not have been more pleased. We were in Bucharest for a short time but we felt we saw a great deal. Marvelous few hours! TOUR GUIDE RESPONSE: An actor lives out of the feedback received from the audience. To a certain extent, a guide is an actor playing his role for the time spent with the tourists. I can only feel happy for these words you wrote about our tour together. They sound like acclaims from the audience to me, and give me strength to move on! A memorable experience and great communication. Liviu customized the tour to include reservations at the Palace of Parliament and modified the pace in response to an injury in my party. We all enjoyed the mix of driving, walking, and talking with breaks for refreshment and lunch. Liviu's entertaining and educational commentary gave the drive around "The Little Paris of the East", and visits to the Village Museum, Palace of Parliament, and Old Town, a context we would not have had on our own. TOUR GUIDE RESPONSE: Thank you for your nice words. I hope it was indeed a good experience for all of you, and that it did not prove a bit strenuous at times. Always happy to show such tourists around. Liviu was very accommodating and patient especially when we were travelling with 2 kids under the age of 5. We toured the old residence of the Ceausescus, Village Musuem, Parliament Palace and Old Town. He even helped us transport our luggages over 2 trips to the Airbnb. Book him as your guide - you won't be disappointed! TOUR GUIDE RESPONSE: Thank you for your warm feedback, and I hope the rest of your Romanian (and not only) tour was at least so rewarding. Kiss your little princesses for me! We had no real expectations for Bucharest. But thank to Liviu, our guide, vast knowledge of Bucharest history, architecture, hidden interesting places, our visit was an incredible time travel from pre world war II to common days withh everything in between. We finished our tour of "little Paris of the East" tired of our extensive walking but full of wisdom. TOUR GUIDE RESPONSE: Many people somehow strangely don't come with high expectations to Bucharest, considering it is the country that's actually worth seeing, and the capital you could as well skip. My hope is that this visit în "Little Paris of the East" could prove this widely spread assumption wrong, and do Bucharest some justice. Always glad to guide such tourists!